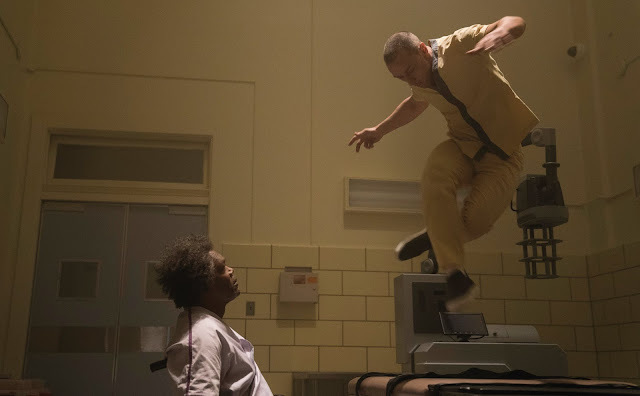 THE REVIEW: Much like his beloved comic books, M. Night Shyamalan’s movies are often the source of great debate about which ones are really good and which ones are just, well, awful. And after taking a much-deserved beating afters several hate-it-or-love-it features, the captain of the twist pulled a Dark Knight and redeemed himself with 2015’s quirky The Visit and then 2016’s Split, which featured one of the greatest (I know what I said!) performances in recent history by McAvoy as the Dissociative Identity Disorder-suffering Crumb. Then it was revealed (spoiler alert – you’ve had enough time) that the film was connected to the world Unbreakable created way back in 2000 and the hype that Glass would be his penultimate work became very real among his longstanding fans.Well, guess what? Glass – while not perfect – delivers a super (enough) payoff for all your years of patience.